But it does seem like extroversion is an expected part of leadership. That leaders are expected to voice an opinion or to “own” the room. Which was why I was especially pleased to come across this post on WSJ.com by Sue Shellenbarger, Shaking Off a Shy Reputation at Work. Ms. Shellenbarger writes about a sales-support executive who was passed over for leadership roles because of his quiet personality. And, more importantly, she writes of how this executive partnered with a coach to help him successfully address his situation. The coach and the executive came up with a plan that built on the executive’s strengths as an introvert, while it also pushed him a bit out of his comfort zone. He did not need to become a full-blown extrovert, nor could he. He did not even need to act like a full-blown extrovert. He just needed to find his own authentic ways to make his strengths more apparent to others, and to take the risk, speak up, and stand out in meetings, even if he didn’t feel 100% prepared. The approach the coach mapped out for this executive mirrors the ways we support our clients – to help them first become aware of and fully own their leadership strengths, whatever they may be, and then to push themselves to build on the strengths while also stepping into areas that are less comfortable for them. For nearly every executive I’ve coached, their strengths have been admirable, but those very same strengths have also been their areas for development. The introvert, while viewed as focused and patient, is seen as too thoughtful and cautious. The extrovert, admired for her gregariousness, is also seen as too loud and obnoxious, or too quick to speak without thinking things through. The direct leader can be viewed as too direct, “leaving dead bodies in his wake.” And the kind leader “lets people get away with anything and never says no.” This happens because we all tend to rely too heavily on our strengths, and anything overplayed can become a weakness. 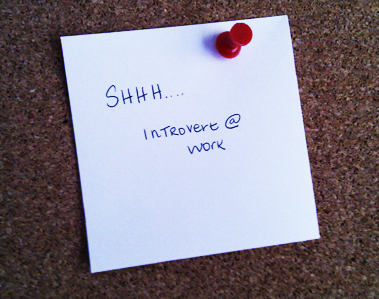 My tips for introverts looking to avoid overplaying their strengths? Be willing to put yourself out there when the opportunity arises, even if you’re unsure or nervous. Worry less about being wrong or not having all the answers. Shift your perspective about networking and socializing from a necessary evil to an essential leadership skill. Set goals for yourself that focus on building relationships on a wider scale and being bolder in your approach. Regularly practice the things that make you most uncomfortable, such as speaking up in groups or before you’re absolutely sure of what you want to say. The more you do it, the easier and more natural it becomes. Find a partner to notice, and tell you, when you are falling into old patterns or successfully implementing new ones. Whatever your leadership style, there are ways to build upon your strengths and to bolster your weaker skills and approaches. But you don’t have to change yourself entirely to be successful. And you don’t have to be an extrovert to be a leader. What skills do you believe a leader must have? For support in building your leadership style, contact Lisa at lkohn@chatsworthconsulting.com.